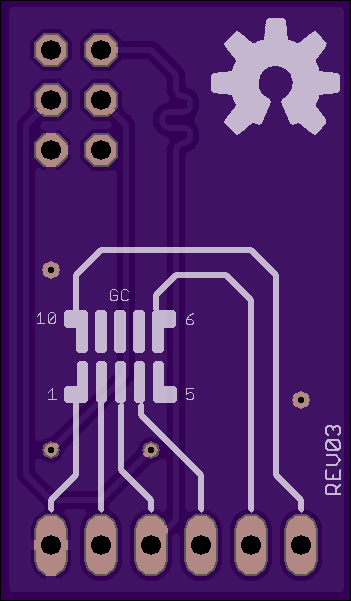 2 layer board of 0.70 x 1.20 inches (17.8 x 30.5 mm). Uploaded: September 19th, 2013 09:01. 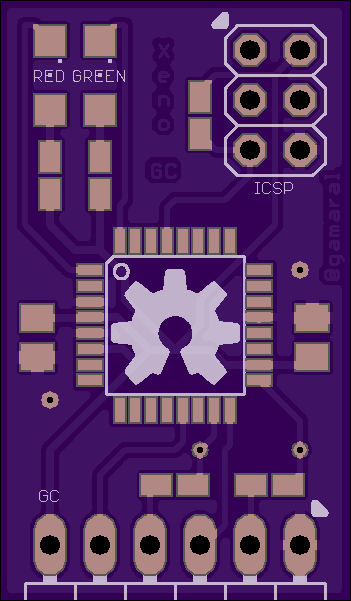 Schematic and Board files are available on GitHub.